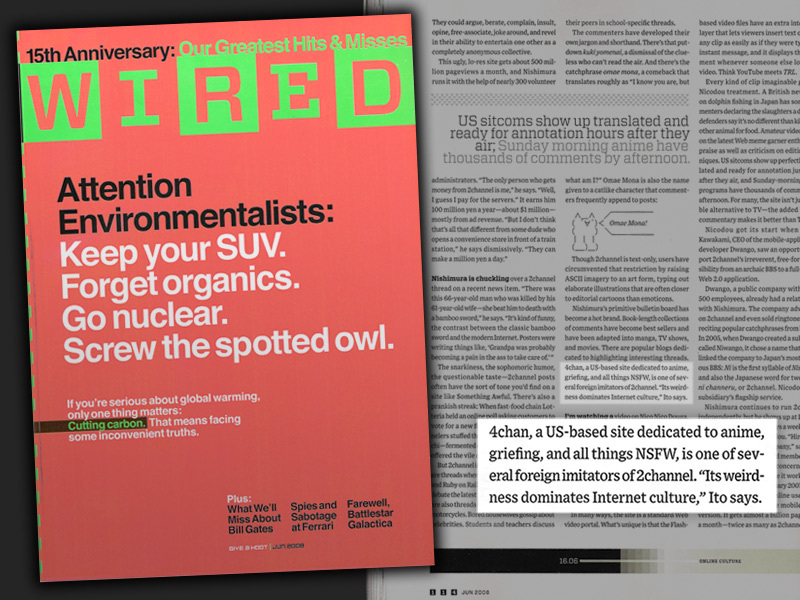 Since its creation in 2003, 4chan has grown to become one of the world's largest forums, serving approximately 680,000,000 page impressions to over 22,000,000 unique visitors per month (~11 MM in the US). 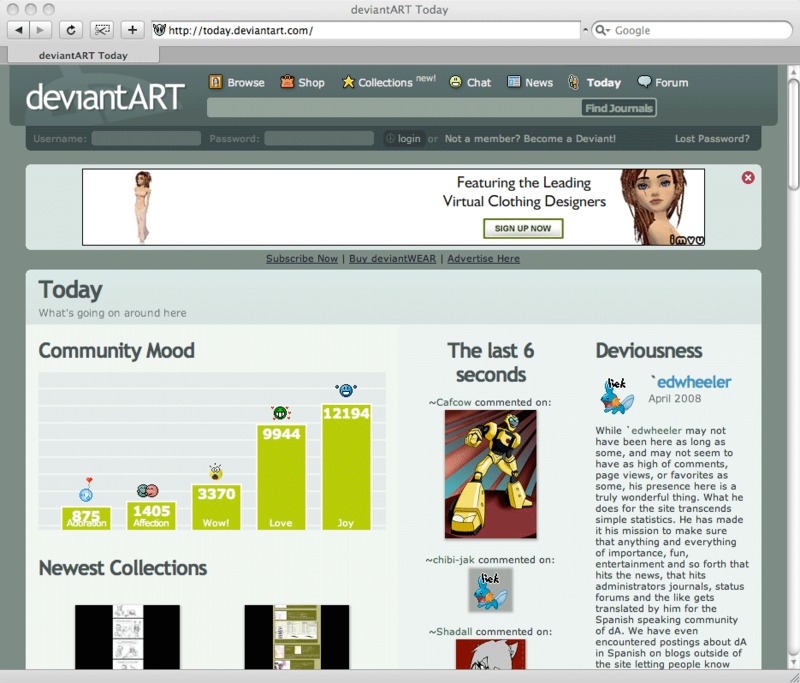 The website is mainly popular amongst young adults, and its imageboard format is based fully on user-generated content. 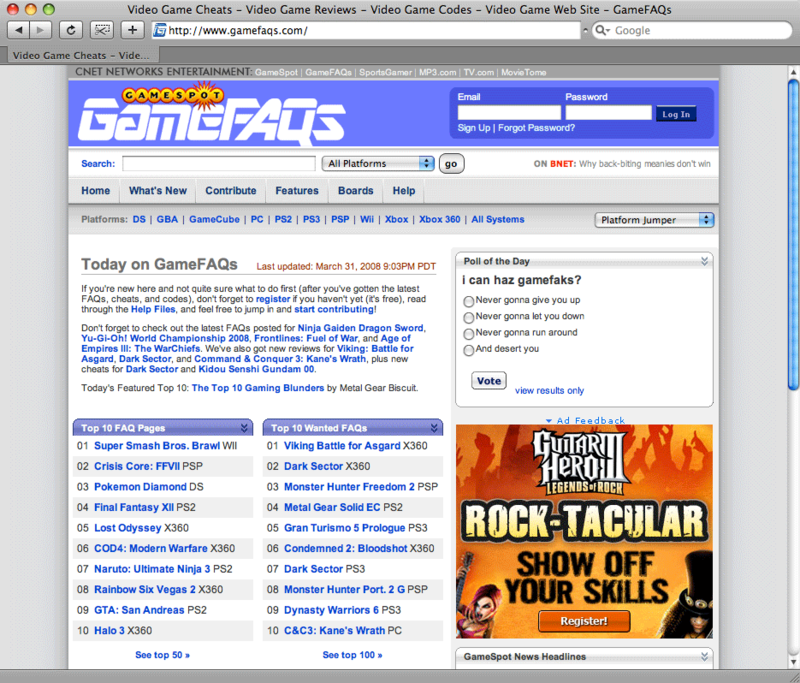 Users post in a variety of interest-themed imageboards, including Video Games, Anime, Lifestyle and Technology. 4chan.org is one of the highest-trafficked US sites according to Alexa and Quantcast, and is ranked by Big-Boards as being the 2nd largest BBS in the world. 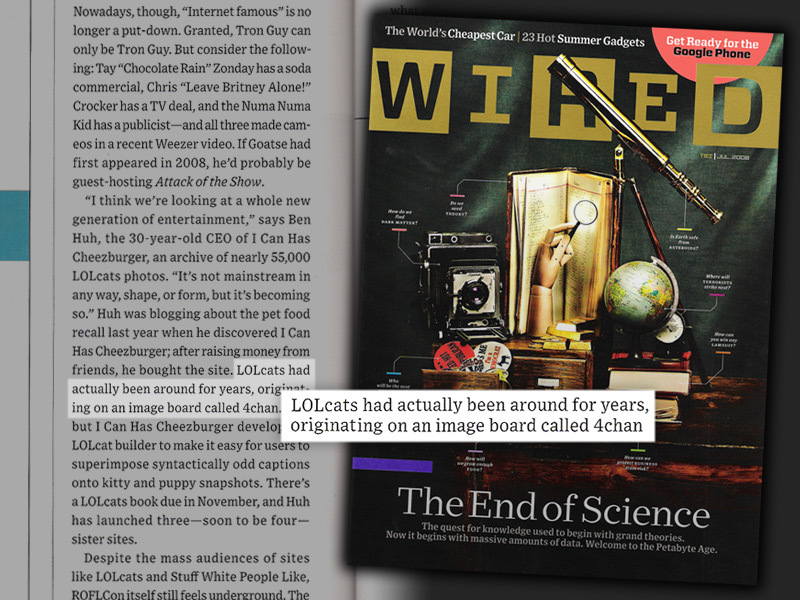 4chan is credited with spawning a number of wildly popular internet memes, including LOLcats, the rapid rise to popularity of Tay "Chocolate Rain" Zonday, and "Rickrolling"—among many others. 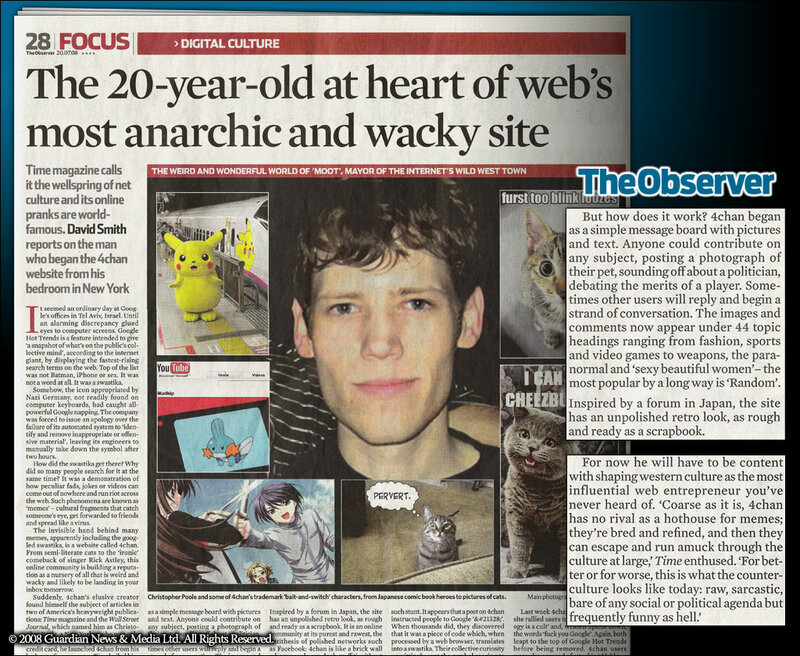 In March 4chan's founder, Christopher "moot" Poole, gave a keynote speech at the 2011 SXSW Interactive Festival: "The Wild Wild Web: Refrigerator magnets, PictoChat, Calvinball, and anonymous culture." 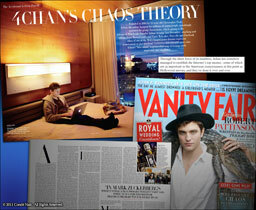 Vanity Fair ran a feature profile written by cover writer Vanessa Grigoriadis titled 4chan's Chaos Theory. 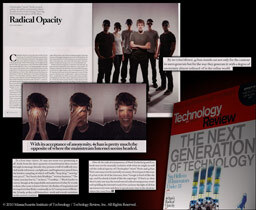 Technology Review (published by MIT) ran a feature profile written by Julian Dibbell titled Radical Opacity. 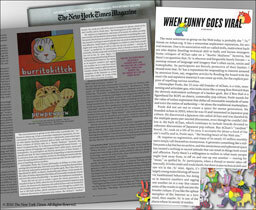 4chan was featured on the front page of The Washington Post, and prominently in a New York Times Magazine piece on ROFLCon and the viral web. In March, Nick Bilton of The New York Times "Bits Blog" posted a one-on-one interview with Christopher "moot" Poole. 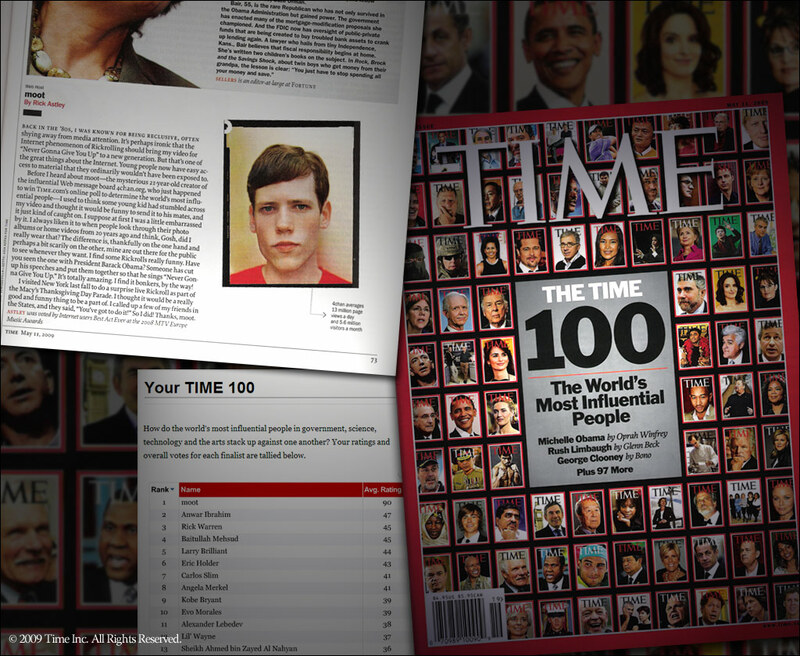 CNN featured "moot" in its TED2010 article titled "Ten fascinating people you've never heard of," and published a video interview conducted after the his TED talk. 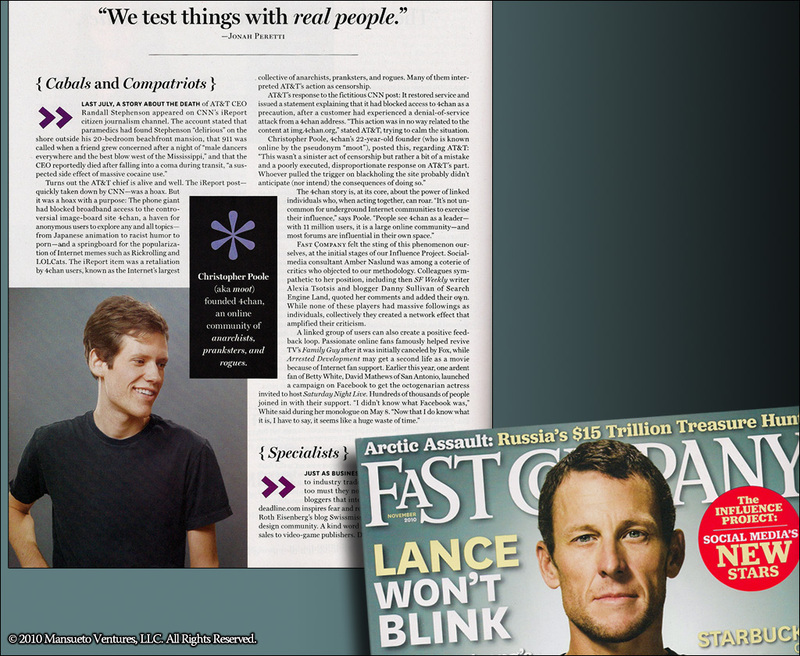 In February 4chan's founder, Christopher "moot" Poole, spoke at the 2010 TED Conference, during the "Provocation" session. 4chan's "moot" was selected by TIME's editors as one of the TIME 100, an annual list of "The World's Most Influential People," in the Builders & Titans category. In addition, readers voted moot as "The World's Most Influential Person" in an online poll held on TIME.com. FOXNews takes a look at 4chan, its memes, and its influence on the Web. 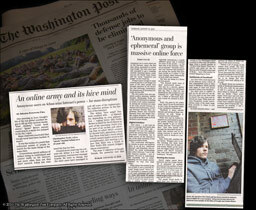 The Washington Post gave its readers an in-depth look at "moot," aka Christopher Poole, detailing 4chan's past, present, and future. 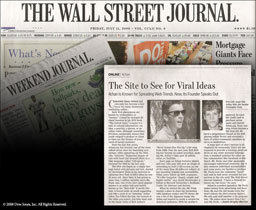 TIME and The Wall Street Journal ran articles on 4chan and its founder, "moot," in July 2008. 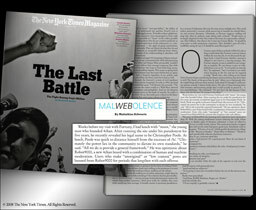 Both appeared online and in print on July 11th. 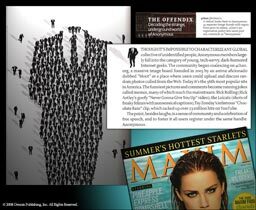 Subsequent appearances have been made in The Observer, Maxim, and The New York Times Magazine. 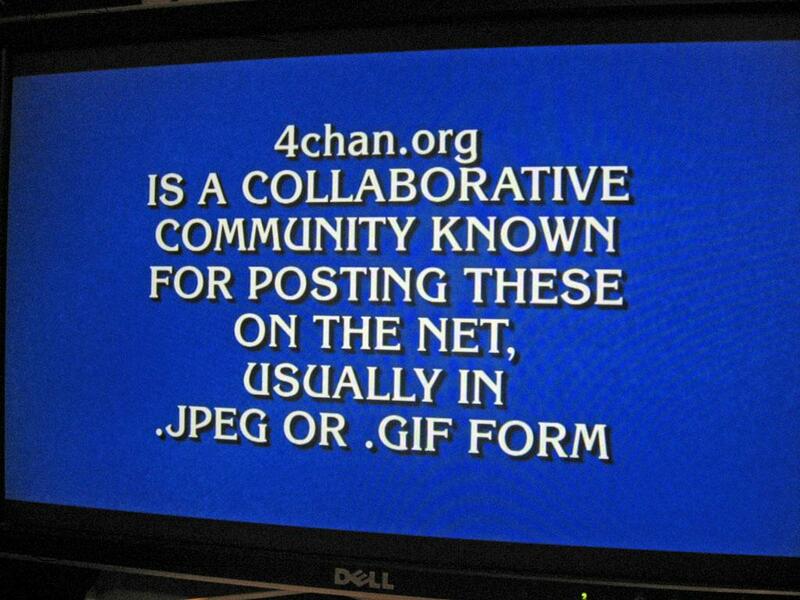 4chan was featured in the "Internet Favorites" category as a $1,600 question. 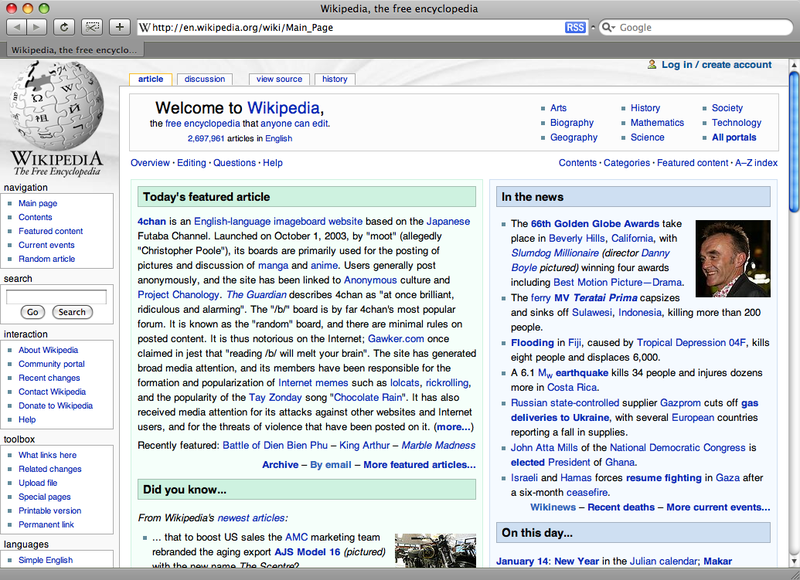 Wikipedia's English 4chan article was nominated and promoted to "featured article" status, and displayed on the main page on January 14th, 2009. YouTube, GameFAQs, LiveJournal, deviantART, isoHunt, and MIT's The Tech all ran April Fool's Day pranks based on 4chan memes. 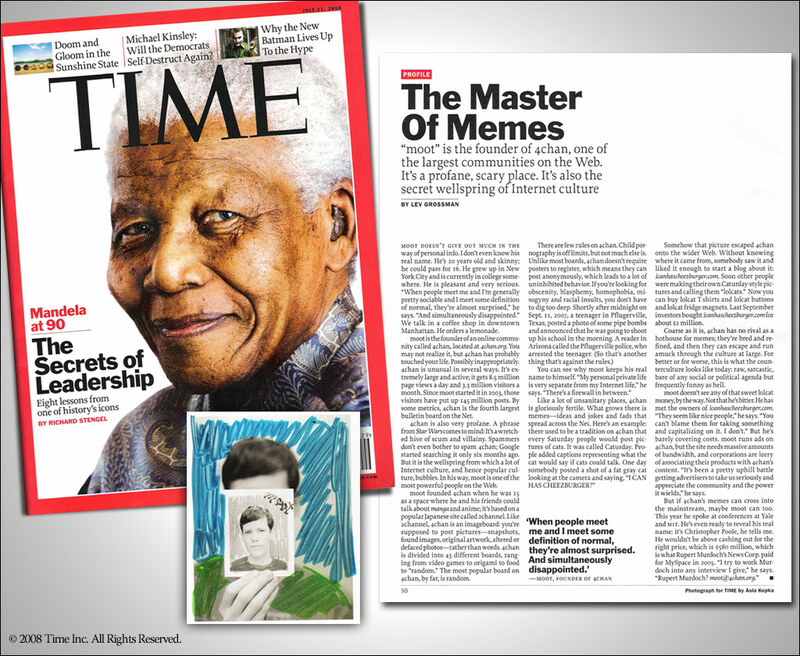 The memes used include the now infamous "Rick Roll", LOLcats / "Caturday", and the Pokémon we all loev so much, Mudkips. 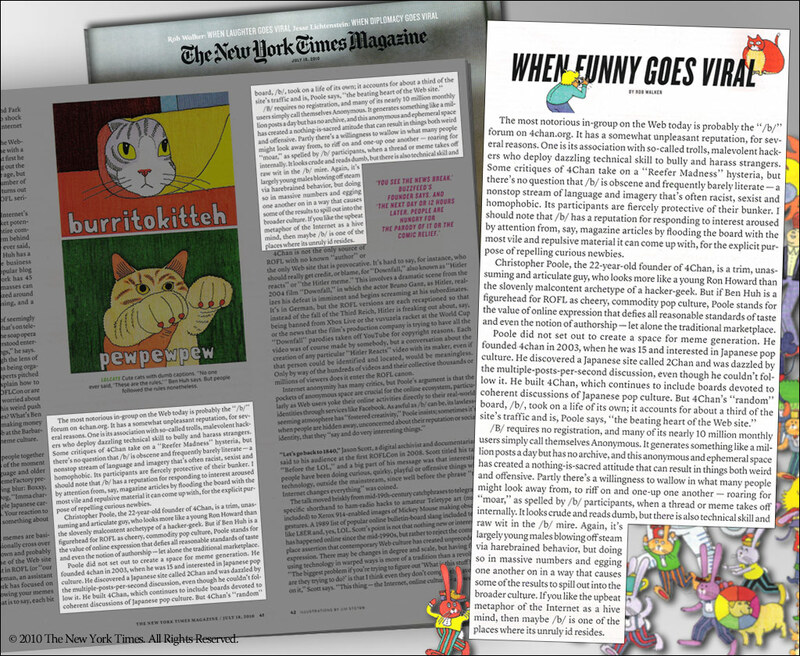 "The term lolcat gained national media attention in the United States when it was covered by Time, which wrote that non-commercialized phenomena of the sort are increasingly rare, stating that lolcats have 'a distinctly old-school, early 1990s, Usenet feel to [them].'" 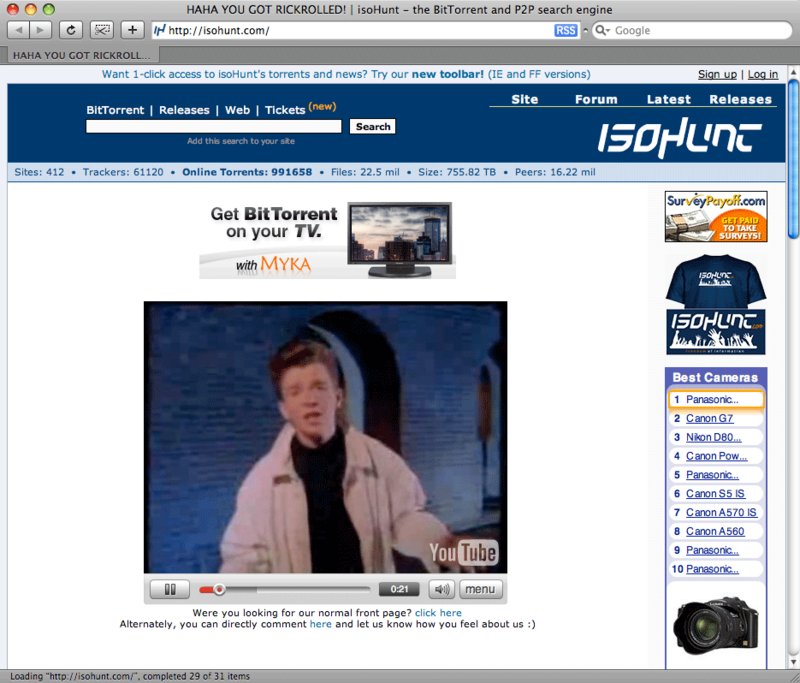 "In a rickroll a person provides a link they claim is relevant to the topic at hand which actually takes the user to the Rick Astley video. 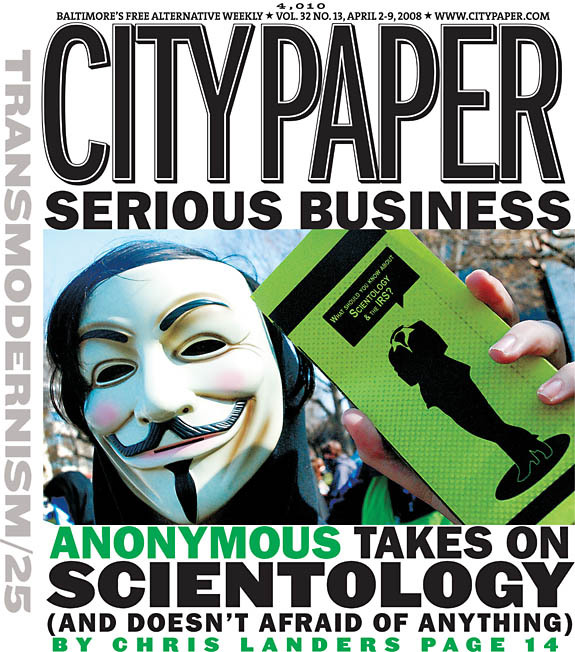 ... By May 2007 the practice had become widespread, and it eventually began to receive some coverage in the mainstream media. ... In a March 2008 interview, Astley said that he found the rickrolling of Scientology to be 'hilarious'..."
Toronto Star — Xinhua — HHNLive — Den of Geek! "Tay's most notable single is titled 'Chocolate Rain'. The spread of popularity of the song is attributed to 4chan. 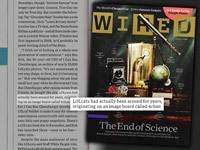 Tay Zonday said, "I'm pretty sure the 'Chocolate Rain' attention started as a joke at 4chan.org, an image board that is credited with starting lots of popular internet phenomena. It spread to a general audience and people started uploading spoofs. I don't know what causes people to listen to my music. If I could speak it, there would be no reason to write songs."" "O RLY?, short for 'Oh, really?' 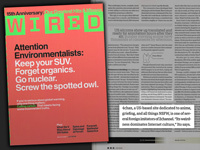 is a popular Internet phenomenon, typically presented as an image macro featuring a Snowy Owl." 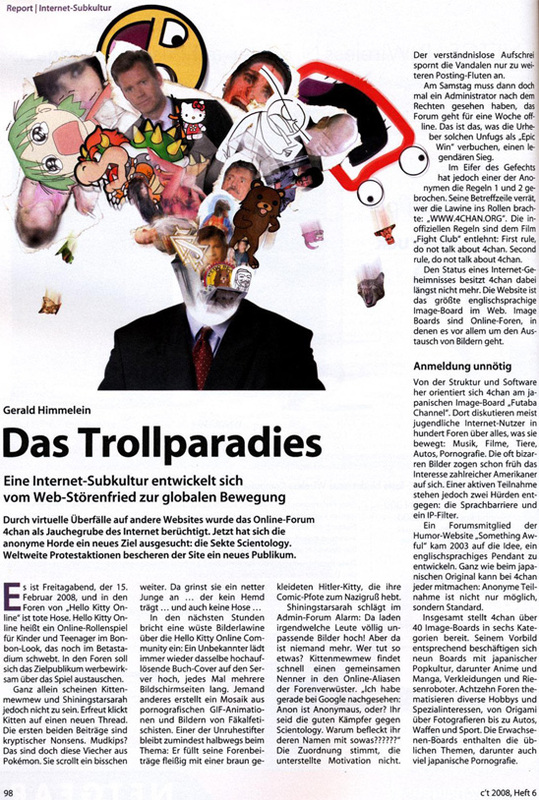 "As with so many stupid internet fads, the rick-roll trend had its start at 4chan, a message-board whose lunatic, juvenile community is at once brilliant, ridiculous and alarming." "Among the most notorious of forums is one called 4chan, an anarchic, entirely anonymous bulletin board where people are encouraged to post pictures. 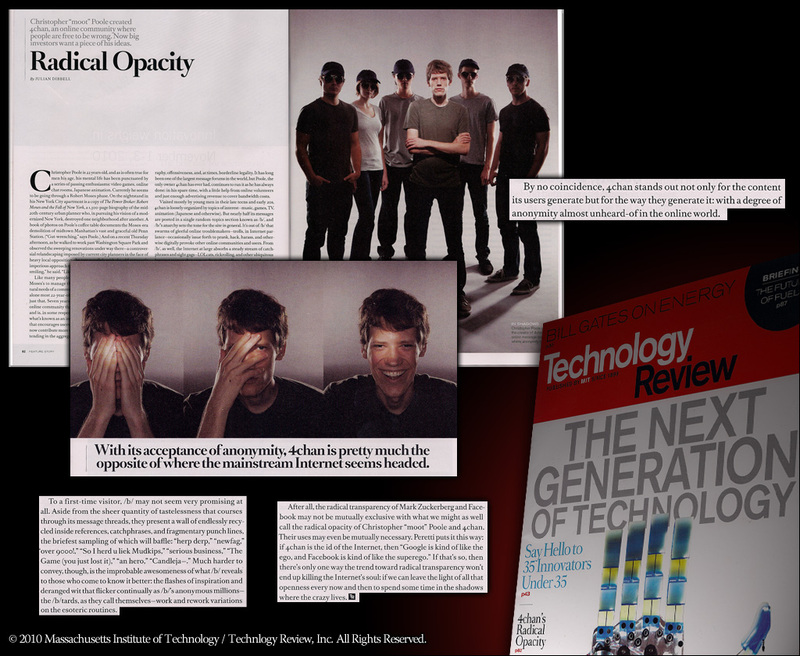 It is variously credited with fostering not just Rick Rolling, but the LOLCATS craze of cats speaking like hacker kids, and the 'Anonymous' anti-Scientology movement..."
"...has come the blossoming Web 2.0 era of collaborative content. YouTube, Wikipedia, 4chan, abeerintheevening, Facebook – they all function on the principle that everyone has at least one thing that would be of interest and value to a wider audience. The wisdom of the crowd really is starting to look wise, all things told." "An estimated 13 million internet users have been tricked into watching the video for Rick Astley's Never Gonna Give You Up in the last couple of weeks. 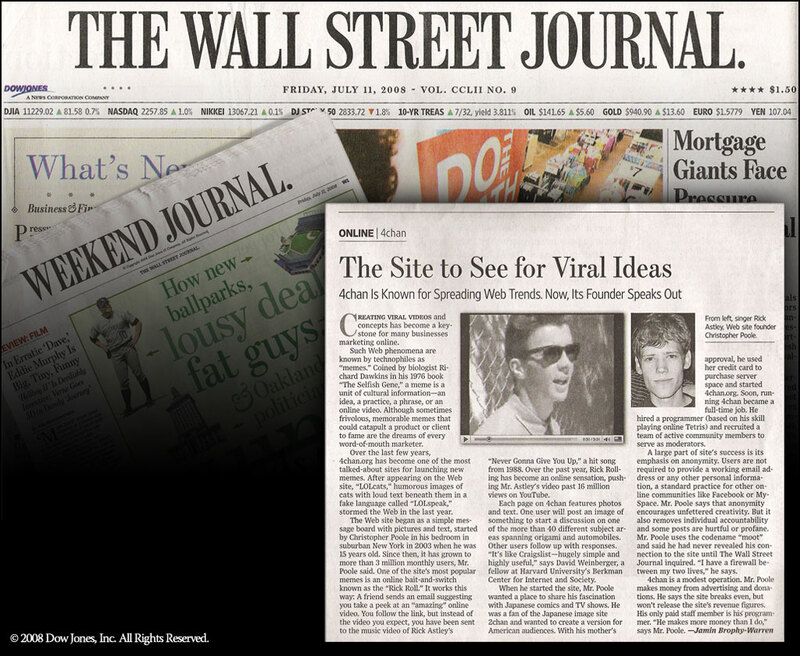 In one of those moments of mass online hysteria that record companies wish they could replicate at will, thousands of internet users have been sending out links to scurrilous videos and websites, which actually take you directly to a video of Astley's pop masterpiece."